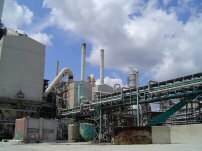 ChemicalPlant.com offers quality used and surplus equipment to the chemical industry. Please contact us with regards to used chemical machinery or related process equipment which you would like to buy or sell. Equipment includes chemical plants for sale, glass lined reactors, presses, filters, centrifuges, chillers, heat exchanges and other useful industrial equipment.